Business today takes place in the online realm, and if your company's website doesn't feature stunning visual design as well as high-end tools, you will get left behind. Make the leap into 21st century marketing with a custom website design that features 3D modeling for motion logos, animated characters, and 3D product rotations. 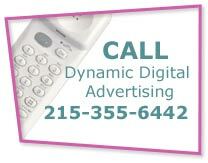 Contact Dynamic Digital Advertising (DDA), Philadelphia's leading professional custom website design company and a full-service graphic design firm. DDA's experience in generating 3D web-based media allows us to develop or improve any types of corporate website with 3D modeling services. Call (215) 355 ­ 6442 to learn more now. 3D modeling for products, characters, logos, and animation is sure to impress your visitors and convert a large percentage of them into actual customers. Dynamic Digital Advertising can integrate these high-end graphic designs into your existing website or include them in a new custom website design. Call today to learn more. Shopping online has become more popular than ever and companies are responding with more extensive e-commerce websites. The problem is that many shoppers want a better shopping experience that allows them to see and handle product prior to purchase. Dynamic Digital Advertising offers 3D modeling services that recreate a digital image of your product for an e-commerce store showcase. This image can be rotated and viewed from multiple angles and, additionally, can be magnified by a viewer for an up-close look at the product’s features. With 3D product models by DDA, your company can provide the superior online shopping experience that compels many visitors to hit the purchase icon rather than their browsers’ back buttons. While surfing the Internet, you’ve probably seen hundreds of websites, but how many of them stick out in your memory? Most of them don’t. Don’t let your website be as forgettable as the mundane ones that you can’t really remember. Cross the line between mundane and extraordinary by contacting DDA for 3D animation and character modeling. With a complete staff of full-time computer animators and modelers, Dynamic Digital Advertising creates 3D models and characters that move according to their programming or according to the direction of a user. Websites designed and developed by DDA with full 3D modeling and animation capabilities never fail to impress a visitor or enhance a corporate identity. A website’s design must always make a good first impression on visitors. No matter how informative your content or how great your product, outdated designs or flashy and distracting graphics may immediately result in doubt about whether your company can meet their needs. Dynamic Digital Advertising specializes in generating the aesthetic web graphic designs that are contemporary and reflective of your industry. Many clients request a moving 3D model to give their web design the extra edge over those of their competitors. View examples of 3D modeling for web graphic design in the DDA portfolio now. If you are searching for a custom website design company, a search engine marketing firm, or a website promotion agency that can offer state-of-the-art graphic design and programming, look no more. As a national marketing and advertising company specializing in all the above and much more, Dynamic Digital Advertising has experience in developing naturally search engine –optimized websites for clients based anywhere in the United States. With current clients in our home state of Pennsylvania, neighboring northeastern states, and California, Texas, Illinois, etc., Dynamic Digital Advertising proves that it has the digital technologies at its disposal which make conducting business on a national as well as international levels quick, easy, and effective. The ubiquity of professional pharmaceutical advertising means your business-to-business medical advertising and direct-to-consumer medical advertising have to be sharper than ever. DDA Medical, a division of Dynamic Digital Advertising, is the medical marketing/ advertising agency with advertising ideas for the pharmaceutical industry that will keep your brand in the minds of consumers and providers. We offer medical marketing service strategies to suit your business-to-business and pharmaceutical direct-to-consumer advertising needs, whether it’s ideas for medical advertising like an interactive website, or a logo that’s memorable and direct. Advertising pharmaceutical products with DDA’s pharmaceutical marketing company is advertising smart, because we’ve navigated global medical marketing in ways other pharmaceutical advertising agencies haven’t and can’t. Contact DDA Medical today to put our know-how to your benefit. Between a Hollywood production company and DDA Video (a division of the full service advertising agency Dynamic Digital Advertising), which would you choose to produce your company’s next instructional, trade show or corporate medical video? Hollywood Pro’s: high quality work; chance to meet big stars. DDA Video Pro’s: same broadcast quality video production and video editing as Hollywood; excellent Actors’ Network. Hollywood Con’s: you will go bankrupt. 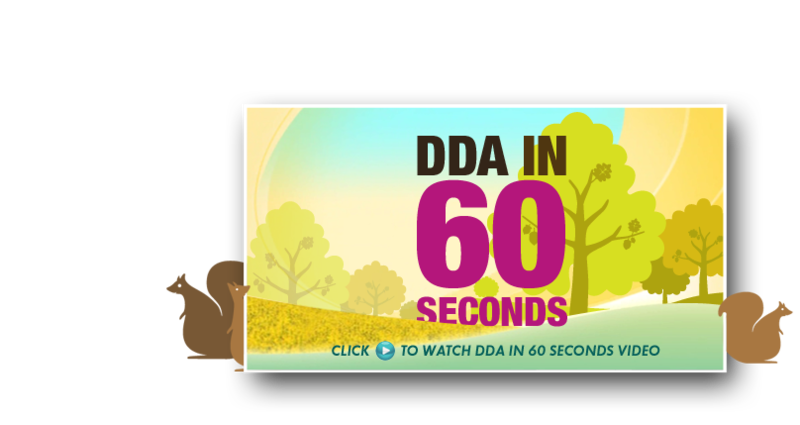 DDA Video Con’s: can you think of any? Neither can we. With our video production company, services like scriptwriting, special effects, animation and more are affordable and impressive. Contact DDA Video to get blockbuster work at B-movie prices. Todays business world is dependent on online marketing and communication. If your company is prominent in the online world through superior rankings for highly-searched keywords than you are able to better benefit from the advent of the e-commerce revolution. So start placing on the front pages of leading search engines today and become one of the most feared and respected competitors in your industry tomorrow by calling Dynamic Digital Advertising for professional custom website design. Dynamic Digital Advertising relies on a proprietary website development process of fourteen steps that leads to the construction of a powerful website capable of placing in the top spots of major search engines such as Google, Yahoo, and MSN. Dynamic Digital Advertisings expertise in creating 3D models for websites is only one instance of DDA skill in graphic design. Since 1994, Dynamic Digital Advertising has been generating eye-catching designs for a variety of advertising and promotional materials and now is pleased to maintain one of the most extensive and diverse service offerings in the nations. Dynamic Digital Advertisings core competencies go far beyond 3D modeling and comprise areas such as web graphic design, brochure and sell sheet design, trade show graphic design for displays and exhibits, and much more.